With so many people on the road trying to get to work, school, or some other destination, driving during the day is pretty dangerous. And that danger only increases when you are driving at night. According to the National Highway Traffic Safety Administration (NHTSA), fatalities on the road happen at a rate three times higher at night than during the day. In fact, more than half of all driving deaths occur at night, even though only a quarter of all driving is done at that time. Those statistics are pretty staggering. The reality is that fatal car accidents at night can be the result of driver negligence, along with other factors like the fact your depth perception, color distinction ability, and peripheral vision are all worse in low-light conditions. This makes it imperative that you follow certain guidelines when driving at night in New Jersey. That way, you can keep yourself, your passengers, and other motorists on the road safe. Use Headlights: Perhaps the most important tip for driving safely at night is to use your headlights. Typical low beams shine light on the road from 160 to 250 feet in front of your vehicle, and typical high beams shine light from 350 to 500 feet. It should go without saying that illuminating the road you are driving on is key to avoiding a motor vehicle accident. Your headlights are also important because they make your car visible to other vehicles on the road. Don’t Stare at Oncoming Lights: Another important tip is to avoid staring at oncoming lights. Typically, your eyes have adjusted to the low-light conditions of driving in the dark. If you stare directly into an oncoming vehicle’s lights, it can seriously disrupt your concentration. Clean Your Windshield: It is also imperative you keep your windshield clean and free of streaks. Streaks on dirty windshields can create glare when driving at night, adding another unnecessary distraction. You should also make sure that your exterior mirrors are clean to avoid glare. Wear Glasses: Make sure you are wearing eyeglasses, if necessary. Many people have much worse sight when driving at night, meaning that they require the use of prescription glasses. If this is the case for you, you should definitely wear them. Stay Focused: Another important tip for safe driving at night is to remain focused and alert at all times. There are many animals that tend to wander across roads at night. Try to spot the reflection of your headlights in their eyes. This can be a clear warning that an animal is in the road. Get Some Sleep Before Driving: Make sure to be well-rested before driving at night. Falling asleep at the wheel is a common cause of accidents on the road. Following these tips should go a long way toward keeping you safe when driving at night. But regardless of how safe you are, there are still other drivers on the road who could cause a nighttime driving accident. If you or a loved one has been injured in a car accident because of a negligent driver, you need the expertise of an experienced New Jersey personal injury lawyer. 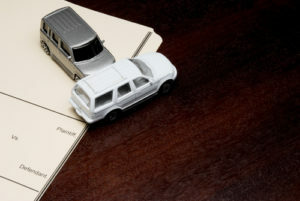 You should not be expected to cover the costs of a motor vehicle accident that was not your fault. Damage costs and medical bills can pile on quickly and the party responsible for your accident and injuries should be held accountable. The legal team at Team Law in New Jersey can do just that. We will fight on your behalf and make sure that your rights are protected. We will also work tirelessly to get you maximum compensation for any losses suffered in your nighttime driving accident. To see what we can do for you, call (732) 738-7774 or fill out the online contact form today. We have an office located at 860 US Route 1 North, Suite 1B, Edison, NJ 08817, in addition to offices in Clark, Jersey City, West New York, Perth Amboy, Summit, Plainfield, New Brunswick, Orange, and Newark, NJ.